It’s the most ambitious construction project in South Los Angeles in decades: The University of Southern California plans to replace its ancient University Village shopping center on the edge of campus with a $900-million, multistory complex of stores, office buildings and dormitories. Full Story: Some USC neighbors foresee at threat, not improvement. BUY YOUR TICKETS NOW! Join Esperanza for its annual event “Dancing under the Stars” October 18 in celebration of Volunteers at Mercado La Paloma. Enjoy the delicious food from our acclaimed restaurants, dancing and music from Trio Ellas, Hijos de la Tierra and Robbie Hunter and the Inasmuch Band. Tickets are $60 in advance and $70 at the door. For more information and sponsorship opportunities contact us at 213 748-7285. Villa Esperanza Community Center, a project of Esperanza Community Housing, runs a community-based After School Program designed to support children’s social and academic skills through mentoring, homework assistance and enrichment activities. Throughout the year, the children in the After School Program enrich their knowledge of the world by learning about different countries, cultures and historical characters through book reading, documentaries and online research. Each theme based activity culminates with a display of an art, craft or science project at Mercado La Paloma. During the past months of May and June the children learned about the beautiful country of India and painted drawings depicting various symbols of Indian culture which included dances, decorations, Rangoli art, and the Diwali Festival of Lights. If you would like to become a volunteer for Villa Esperanza Community Center and make a difference in a child’s life, contact Yadira Arevalo, Director of Education at 213 748-9596. On May 31, 2012, Fabiola Sandoval, Tenant Leadership & Communications Coordinator for Esperanza Community Housing Corporation was interview by Mobile Voices (VozMob) to talk about the work of the organization since its inception. Mobile Voices(VozMob) is a platform for immigrant and/or low-wage workers in Los Angeles to create stories about their lives and communities directly from cell phones. Last Friday, June 8th we celebrated the graduation of one of Esperanza’s staff members from the Southern California Counseling Center’s (SCCC), CommunityCounseling Program. During the late morning intimate yet casual ceremony graduates, counselors and SCCC staff expressed their appreciation for their growth by the training. The training consisted of a six month process that highlighted self-introspection to be there for others present in our service in our community and also aware of one’s own internal stories. Esperanza Community Housing Corporation strives to continueto develop staff, solidify partnerships and strengthen programs to continue to provide hope in the community! Since beginning to volunteer at Villa Esperanza’s Education Program, I have had one of the most rewarding and valuable experiences of my life. On my first day, I was assigned to a group of seven 3rd graders. It took a couple of days for them to get comfortable around me, but after a short period of time, I began to receive hand-drawn pictures, valentine cards, and hugs. My duties at Villa mainly consist of helping my group of kids get their homework done and then helping out with other activities schedule for the day, such as music class or art projects. Esperanza congratulates Juana Calel for receiving recognition as “Mujer Destacada” for her remarkable work in the community. Esperanza congratulates Georgina Padilla, a Promotora de Salud for recently being named “Mujer Destacada” of the year 2012 by La Opinion’s Mujeres Destacadas Awards. “Es bonito, porque la gente me pide que regrese con ellos”, dijo Padilla, una mujer que habla con mucha energía y entusiasmo. “Mi mayor satisfacción es cuando la gente me agradece por lo que estoy haciendo por la comunidad, cuando me dice “dios la bendiga”. Promotores de Salud Helping Our Community! The dust accumulating on Maria’s rug threatened the health of her three children and her mother, all of whom have asthma. She didn’t have a vacuum to clean her rug. Thanks to the Healthy Child Program at St. John’s Well Child and Family Center, Maria received a free vacuum three months ago and now vacuums everyday. Her mother and children’s asthma symptoms have dramatically declined. The health improvement is not only the result of a rug vacuumed daily, but also of relevant information Maria learned through the Community Health Promoters program at Esperanza Community Housing Corporation. Aliria, a community health promoter of 5 years, learned of Maria’s case through a referral from St. John’s Child and Wellness Center. On her first visit, Aliria asked Maria what housekeeping cleaning products she used. When Maria listed off products like bleach and Pinesol, Aliria suggested that these strong smelling substances often worsen children’s health. Instead, Aliria recommended natural cleaning products that work just as well, like baking soda and vinegar. Maria never knew such mixes were possible. She was amazed at how pleasant the smell was after implementing the natural products. Recently, with the help of Aliria, Maria asked her landlord if he could replace the dirty rug altogether. After informing him that the rug was a potential threat to her family, the land lord replaced it. Community Health Promoters not only educates residents on how to improve the home environment, but also help tenants advocate on behalf of themselves. Maria is incredibly thankful to Esperanza and St. John’s because her children’s and mother’s asthma is now controlled after she learned how to improve the health of her home. 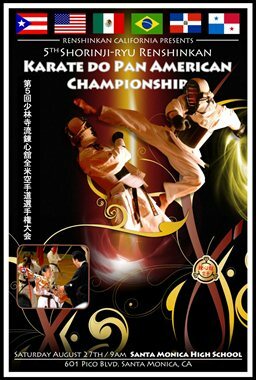 Come support the children of Villa Esperanza that will be competing in this amazing international martial arts event!! !